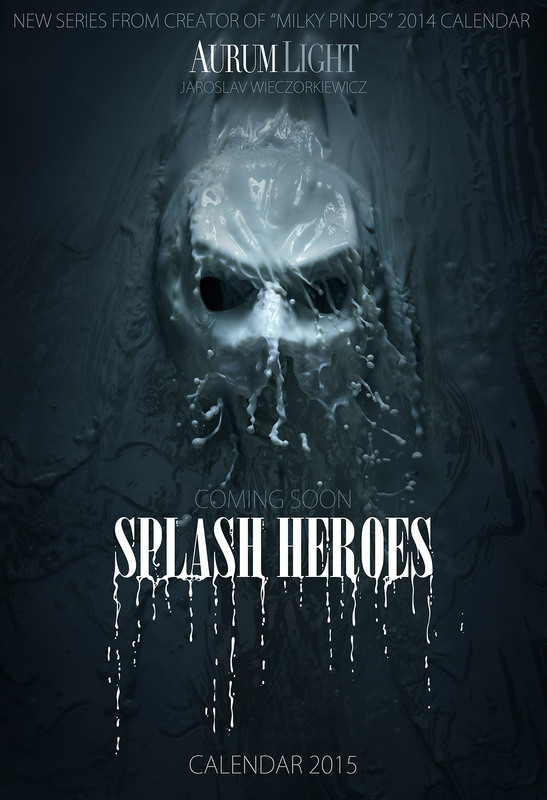 2015 MILK Calendar – SPLASH HEROES! 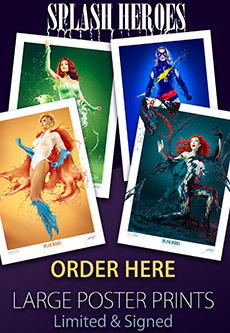 I am happy to let you know that The SPLASH HEROES Girls are back as Limited & Signed Large POSTER Prints! Because everyone deserves to have a hero! Before we go into details I need to acknowledge that we were very moved by your reaction to last year’s calendar “MILKY PINUPS 2014”. I would like to say thank you to everyone who purchased a copy or shared a kind word! It means the world to us and makes our work possible! Milky Pinups was well received and in effect became a national Ad Campaign in USA for Coca Cola’s Fairlife Milk and we couldn’t have been happier about it! This time we wanted to make a very relaxed and colourful series… simply, something really cool! Since the Milky Bamboo Forest Fight Shoot we knew we wanted to come back to that idea and explore colours in liquids in depth! I remembered that advice soon after the Bamboo Forest shoot when I was giving a seminar in California. Afterwards we met with our producers actor friends in Hollywood and we were visiting their place, we entered a special room with a great display wall full of fantastic action figures. When he was showing them to us, I saw what passion he had and in that instant moment it was clear to me what we would do for our next project. And as you probably know… you don’t need celebrities in your work… go for concepts that people are passionate about including these well known! So this year’s calendar is our personal tribute and a milky parody of the heroes genre! 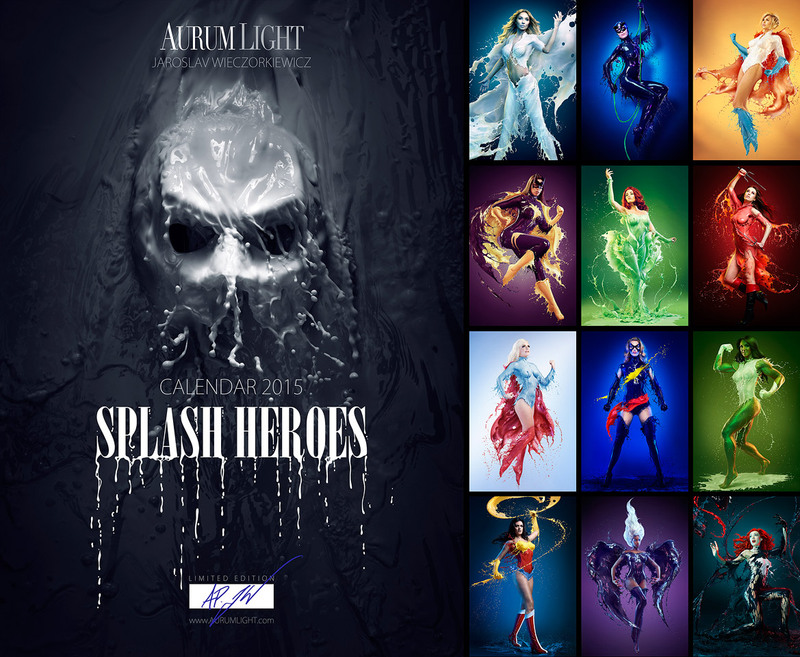 It is my pleasure to introduce you this year’s AurumLight 2015 Milk Calendar, titled SPLASH HEROES, featuring 12 extraordinary Ladies with quite special Liquid powers! 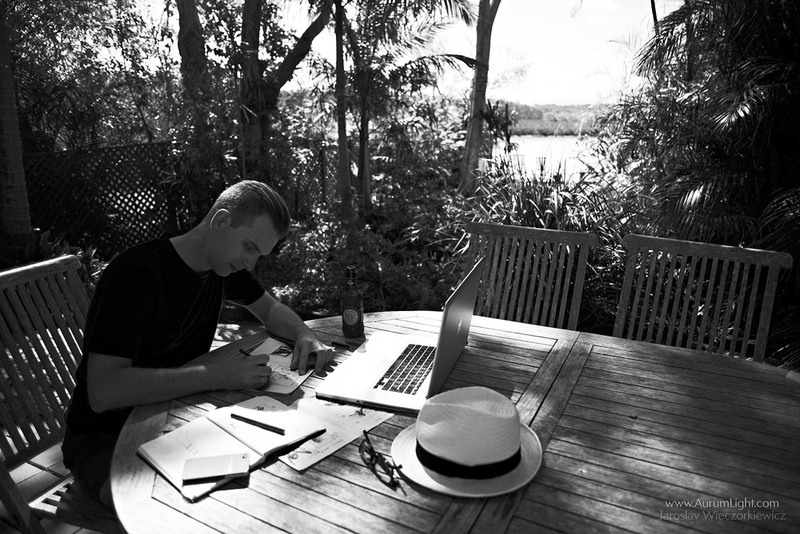 A Limited edition – All Calendars are numbered and signed! …and a single copy costs the same as last year £39.99 + Shipping cost anywhere in the world. 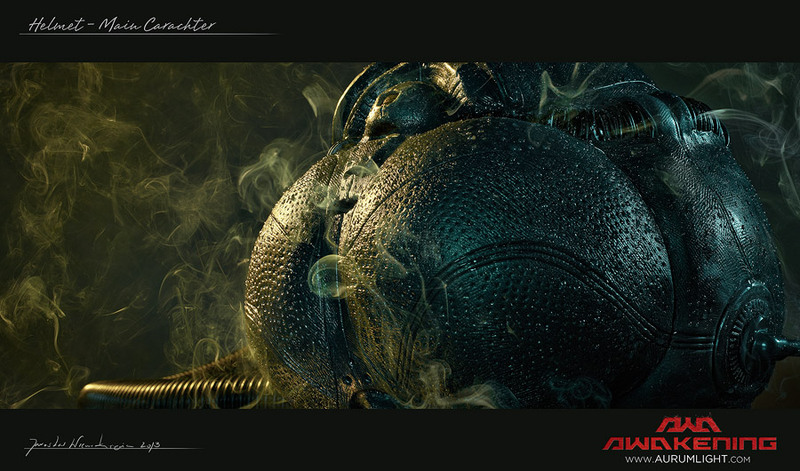 This project was photographed over 5 intensive shooting days . As usual it was very messy, especially with different colours. Milk was coloured with pigments and food colourisers to match the concepts. The biggest challenge was to accomplish a specific shapes for the illustrations. Mounted on my favourite Manfrotto tripod platform. 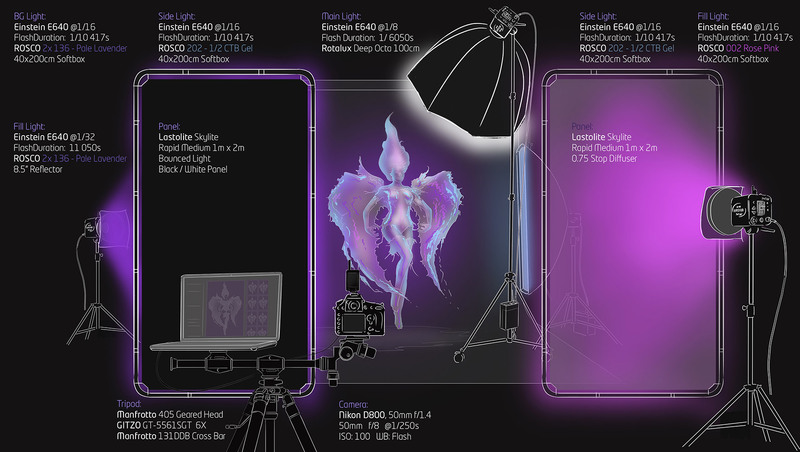 Lighting, modifiers and other bits can be seen in the short behind the scenes video below with the full animated lighting diagram! And if you would like to see some of the Milky action… here is the full Behind the scene video from one of the shooting days done for German TV PRO7 – Galileo Show. 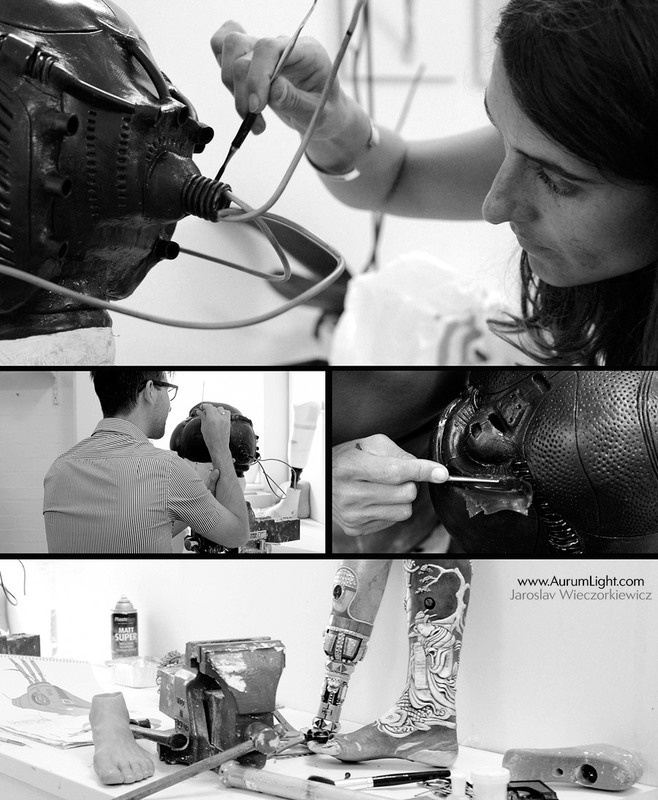 The whole project was possible thanks to great effort of the whole AurumLight Team and our fantastic models! Great news for our friends on the other side of the pond! We will be touring USA around June 2015. We are currently working on details and number of towns. 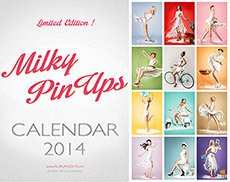 Thank you to all of you who purchased our AurumLight 2014 Milk Calendar – MilkyPinups! It means a lot to us and makes what we do possible. Unfortunately we have run out of Milky PinUps Calendars as this was only a limited edition we quickly sold out. But I have some great news for you! We are currently working on Milky Calendar for 2015 and it will be available for pre-order in a few months. The new theme will be inspired by the Milky Bamboo Forest Fight that we did some time ago. I thought we should look in that direction. We will go above and beyond. Experiment with colours of the liquid, shapes, and lighting. I am sure it will be a great challenge and you will love it too! 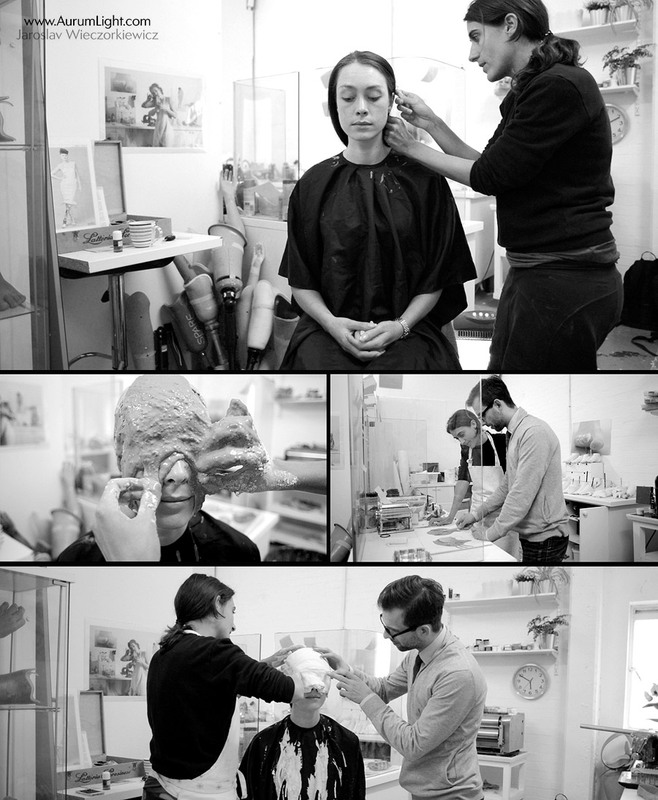 Some time ago we were approached by German TV, PRO Sieben to let them film us during our work. I thought the SPLASH HEROES series will be perfect for it. A few weeks later we had the crew of Galileo Show in London and here is their document from the day that was aired earlier this month. That was a great weekend and we have some really cool illustrations. In a couple of weeks we are making the second round and in May we will bring one of our SPLASH HEROES ladies to Frankfurt for our Milk Workshop on 17-18th May. Please watch this space as there is more to come! 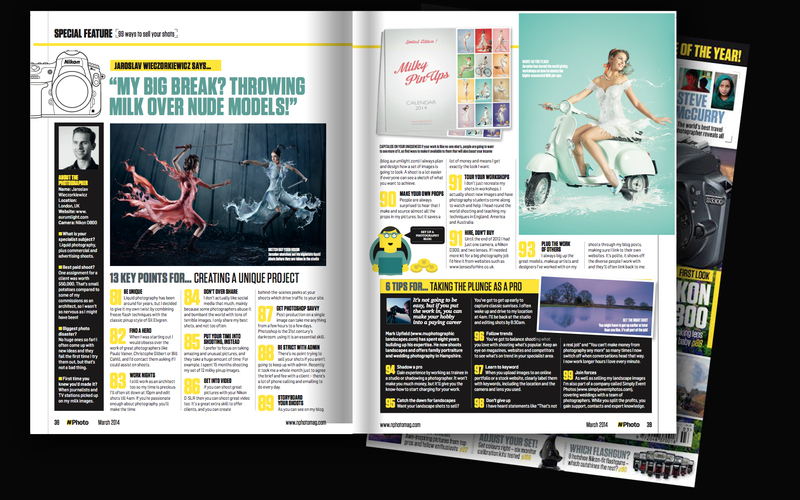 Today I have an interview for you that was just published by N-Photo photography magazine in the UK. In the actual print you can find only an unauthorized shortened version of my thoughts below. So, I thought it would be nice to drop a full length of the 10-Q&A, I hope you will find useful! Keep up great work Guys! [N-Photo] How did you make the move from architect to pro photographer? [JW] Depends on the assignment I still work simultaneously as an architect and a photographer. That ability is giving me a lot of freedom with choosing the right job or client. Both of these worlds are keeping me focused and sharp. I believe that being an architect first has helped me to become a much better photographer. Working on a multi million development with a team of specialists around you, taught me how to deal with stress and find simple yet innovative solutions to complex problems. 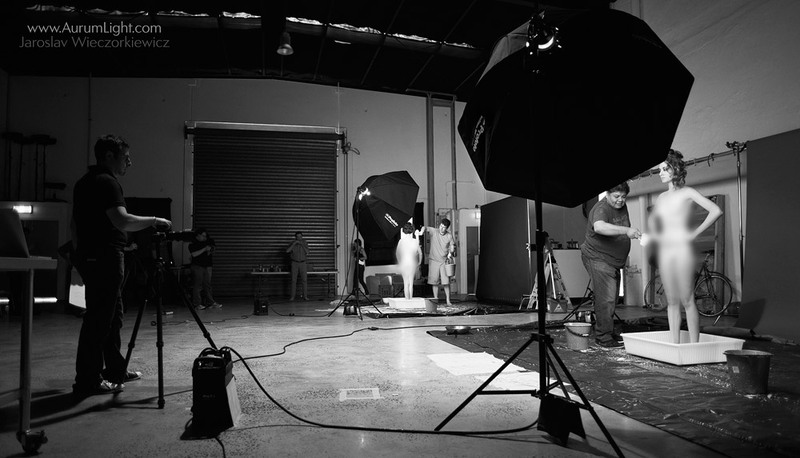 After training like that, a $50K photographic assignment is not that scary anymore. 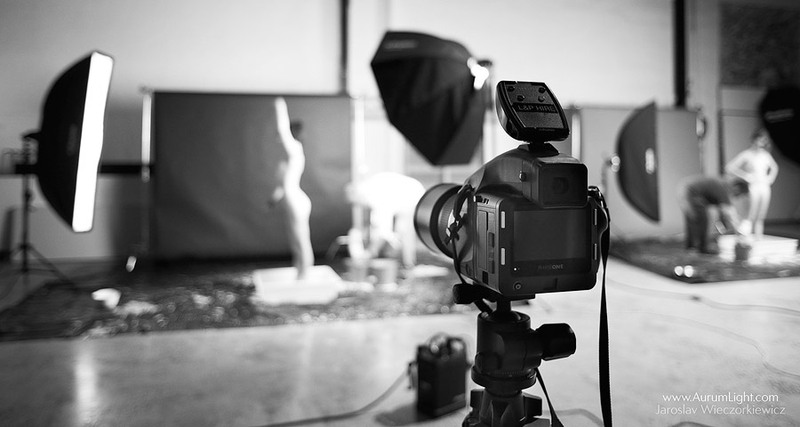 I went into photography because in this field the creative pay-off is much faster. I don’t have to work for a two-three years to see results of my efforts. It is a tremendous burst of satisfaction. Photography also takes me to many different places, allows me to meet talented people and to create a fantastic work with them. Tell me more about promoting your work on FB, Flickr and Twitter – how do get your work and your name talked about? Which social media outlet works best for you? Has it lead to extra work or unexpected jobs? The truth is I don’t use social media very well, nor do I like to do that. We live in really interesting times. You have direct access to your potential clients, publishers, peer group and promotional tools for free. Never before the work was viewed or shared so instantly and by so many. But in the process many people were caught in that terrible pace. Our news feeds are bombarded every minute with hundreds of pictures from all over the world. Many people think that if they want to stay on top of the game they need to share often and a lot… the more they share the lower the quality of work is seen on-line. To me the most important thing is the content. I believe that people appreciate the hard work, and because of the respect to the viewer I only post my best work. If you like people to talk about your illustrations the best way is to step out of that on-line community for a while produce quality work and come back when you are ready to do so. To give you an example, the Milky Pinups series took me fifteen months to finish and eleven months before I posted them online the first six to promote the calendar. 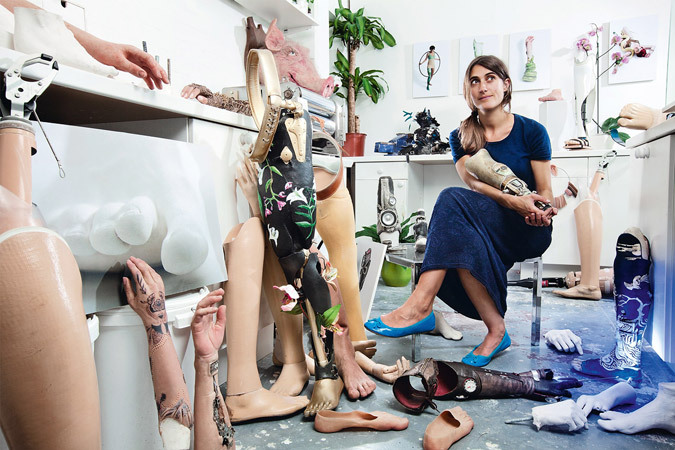 How did your milk portraits project come about? Were you expecting it to be such a big hit? I didn’t expect that there would be such an interest especially not from mainstream media and TV. 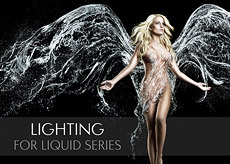 Liquid photography in advertising and other genres has been around for many years. My all-time inspiration is Jean-Paul Goude – for one a photographer, for others graphic designer, choreographer or director. But to me first of all an artist who never was afraid to work hard. Similar technique used in early 90s in the dark room and working with negatives! 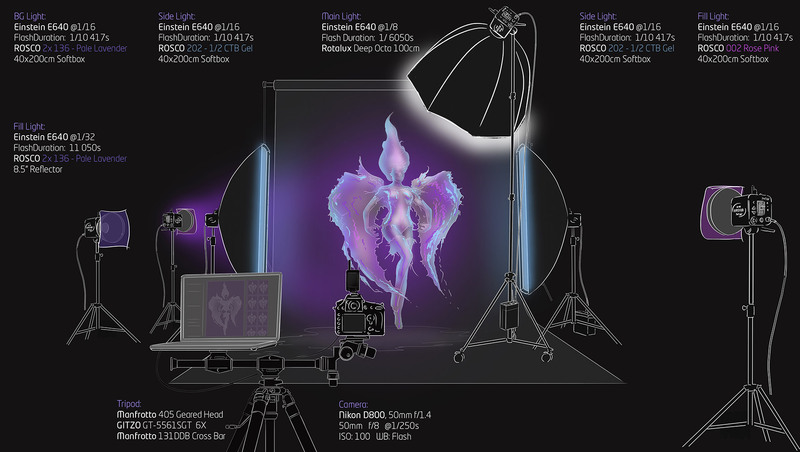 The digital photography made this process simpler and more affordable. Photographers like Paulo Vainer, Kurt Stallaert, Andrey Razumovski, Christophe Gilbert or Bill Cahill was doing liquid photography years before me. 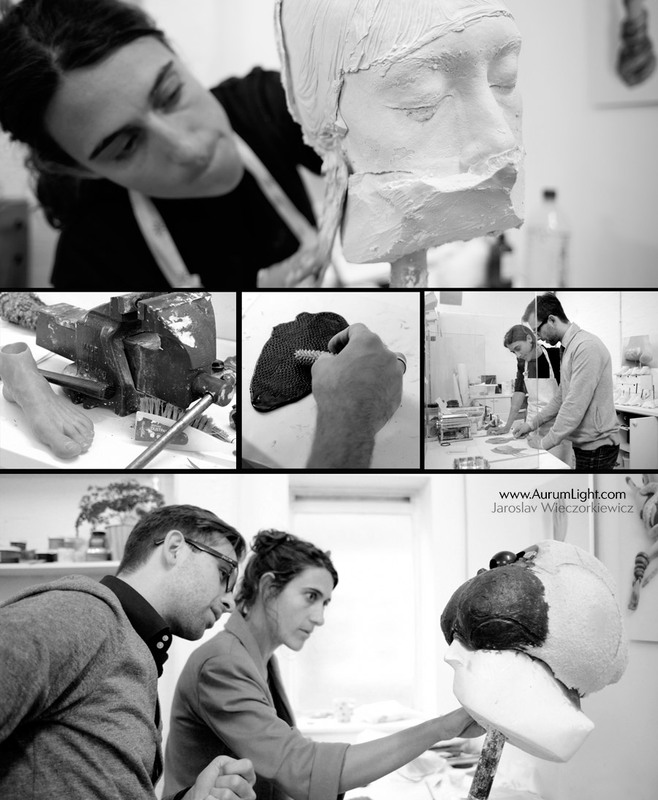 When I was experimenting with my work I tried to learn from them all as much as I could. I was sending emails, calling, traveling to workshops and assisting. And when I was ready, I started to work on ideas from my sketchbook. Attention that I recently received proves that if you are willing to go the extra mile and work harder than most you will find your place in any field. And I think that there is a space for absolutely everyone, no matter where you live and what you do. If you are good and persistent, the success will come with time. Just stay focused! 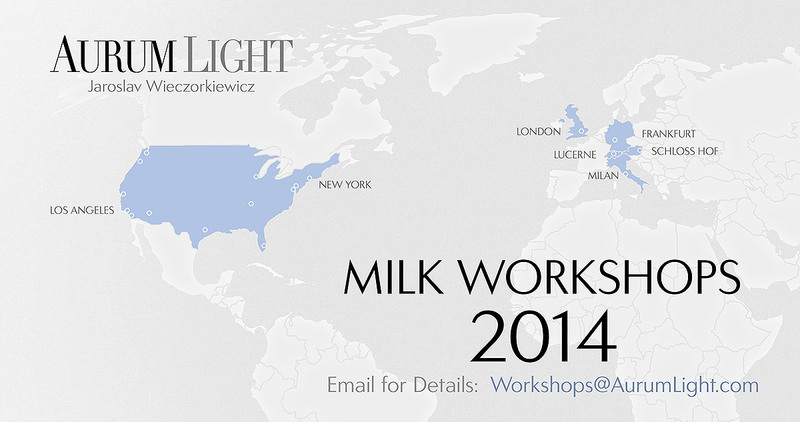 How has it changed your career (I see you now run milk workshops and have won prizes for your shots)? What was it like getting your shots printed and talked about in magazines and newspapers? Attention really helps and brings not only exposure but also more work. It makes you feel that what you do matters to other people. But it doesn’t make my illustrations better or worse if there is no exposure. Some of my work makes me really proud because I remember, the obstacles me and my team had to go through to make it happen. I really don’t care if it is popular piece or not. We did it and that’s what really matters. Does your website help you find opportunities? I think that there is a lot to do to make my website user friendly. I just have no time to look into that. But, it is an important medium. It is your digital business card that should instantly tell people who you are and what you do. It should be a great one, that is a fact, but first you need a great content. Can you describe your daily routine when you aren’t on assignment? (taking bookings, editing shots, using social media, updating your website etc). My day start around 21:30-22:00… Yes, this is the time when I like to sit down with a clear head, no one calls, I can legally ignore emails and focus on work in postproduction. I usually edit until 3-4am. Then waking up at 9am ,quick breakfast and answering emails and phone calls until 11am. I rarely take bookings from private clients, instead I focus on bigger productions, advertising or calendars. Jobs like that are great if you can get them. It is hard but will take you much further than shooting portraits every second day. There’s a lot of phone calls and emails to do. To seal a resent contract it took us 4 weeks just to agree on the scope, brief and fees. It is a pretty tricky part especially when you work for clients from oversees and you can’t just sit down and talk about the project. After all that I can again clear my headspace and spend at least a couple of hours on storyboarding, future thinking or study history or other cultures if the story or design of the project requires it. I have at a minimum two personal projects that are ongoing and when they are on advance stages I often pitch them to potential clients. It is very a effective way to work with new people. I try to stay away from the social media or news websites as much as I can. I consider Facebook as time-vampire exactly like television. I haven’t had a TV set since 2003 and it works well form me, I wish it would be so easy with the net. Between 2-4pm I have some current tasks to do like prop making. Not many people know but most of the elements that are on my photos are actually made or designed by me. After that editing again till 6pm. when I am back home with my wife we have some time together. That is pretty much it and it has been my routine for the past three years, 7 days a week. It was hard but there is no other way. What advice would you give to young photographers keen to get their name known? That shouldn’t be the goal itself. The destination on your road map should be great work. Quality material and personal satisfaction. These things will keep you healthy and happy. If you focus on getting your name out there you need to understand that it takes time and if you think that it can happen overnight you will quickly become disillusioned. If you want to be successful you got to work harder than other people. Simple as that. 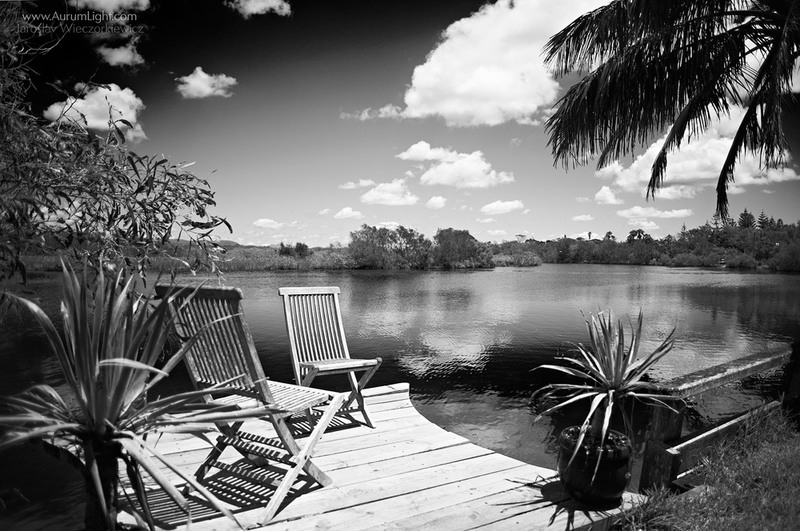 I do photography because I believe it is more cool than going to the pub. Do not complain about simple stuff there are always people that are in a worse situation than you just keep going. What kit do you find essential as a professional? Kit is a secondary thing it is what you do with it and who you work with that counts. All of my work was possible only because there was a team of dedicated people with me. Together we can make dreams a reality. Until the end of 2012 I had just one camera a Nikon D300 and two lenses. If there was a need we were hiring gear for jobs. You really don’t need much to take off. What’s been your best-paid job so far? I love when something that started off as a personal project receives a warm response from others and later becomes a fully commercial advertising project. That is my favourite scenario. 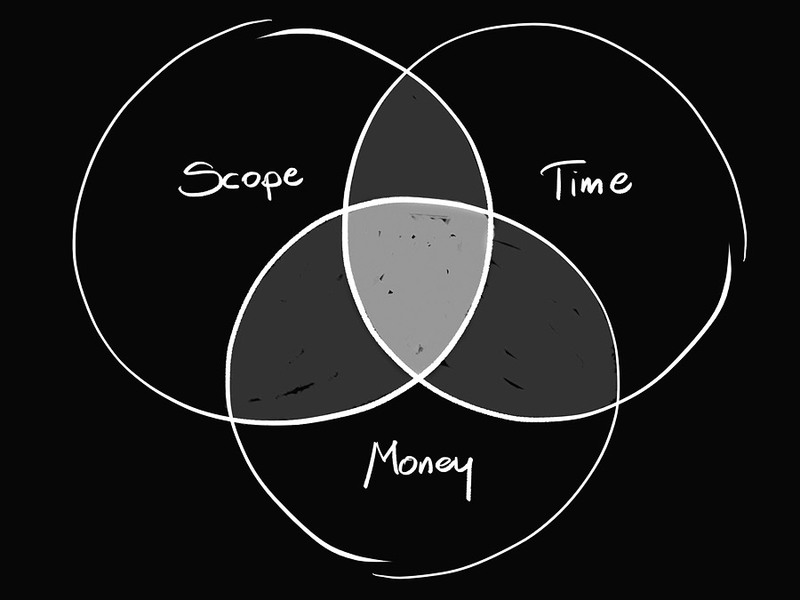 Money wise, so far every job we are getting is more complex with bigger budgets and fees. the project I have mention above is our best-paid to date. In mid-2014 I will be able to talk more about that. But I hope that until that time we will beat it. Have you had any disasters when it comes to paid work or assignments? “Knocking on wood” we have not had any disaster on commercial assignments. I think that in that case it is not the right time to experiment or test something or someone. 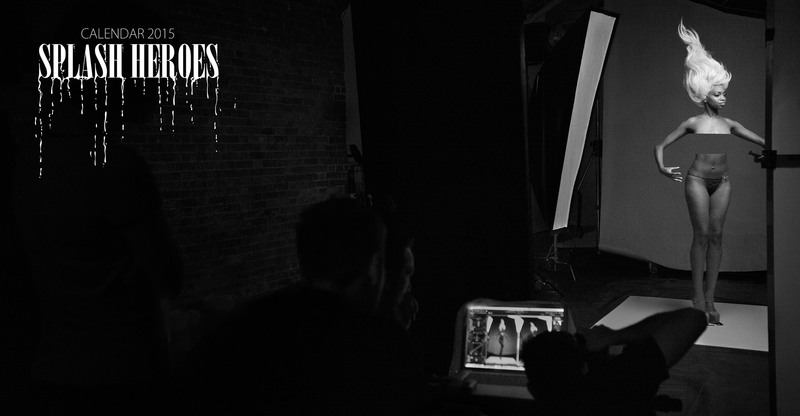 We spend a lot of pre-planning and pre-light time which I always try to argue over in the budgets. And when it comes to the day everyone should be well briefed and prepared. But when I do my personal projects we do all sorts of assumptions and go with a flow, taking risks to pull of the concept. We have failed a number of times. But that is part of the game. Interesting failure is much better than boring success… not in front of a client though! **UPDATE** Please note that the calendar is Sold Out. We are back to London after closing this year with an amazing Australia Tour! 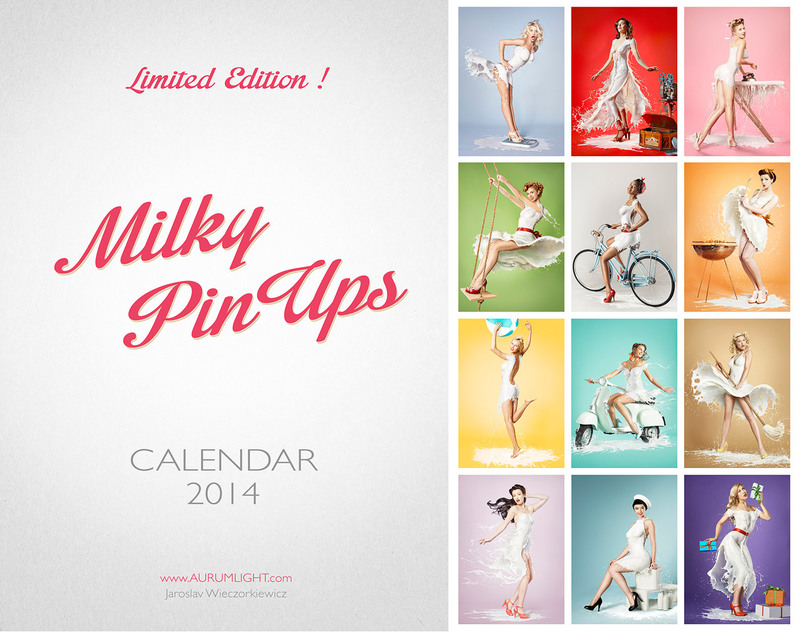 Today we are very happy to announce that the AurumLight 2014 Calendar “Milky PinUps” is now available for ordering! The “Milky PinUps” 2014 Calendar is a limited edition of only 100 copies [A3 size], cost of which is £39.99 excluding postage. We are offering it on the first-come-first-served basis and over half of the stock has already gone to our happy subscribers! To order your copy please check below the Royal Mail price list and delivery options and pick the suitable one. We strongly recommend the signed option with the proof of delivery. 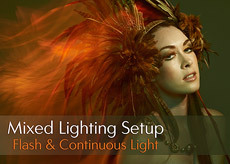 To check availability and secure your order please email info@aurumlight.com for the PAYPAL payment details. 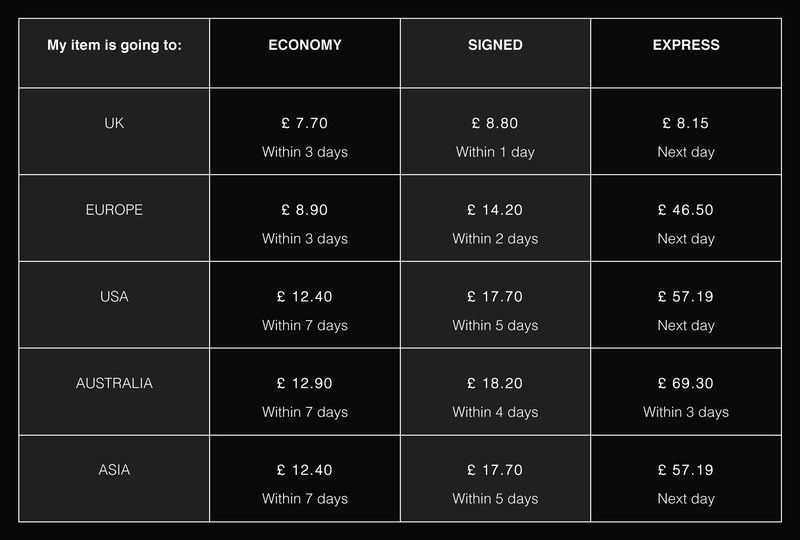 The total cost is the price of the calendar and your chosen delivery option. – Please remember to send us a confirmation email with your postal address and chosen option of delivery. – Please note that postal charges may differ if you order more than one calendar and this needs to be confirmed beforehand. – We will dispatch the parcel as soon as we receive both, your payment and the delivery address. Thank you for your support. It is deeply appreciated! It was a great year and we are grateful that you guys are around. It made the whole thing worthwhile! 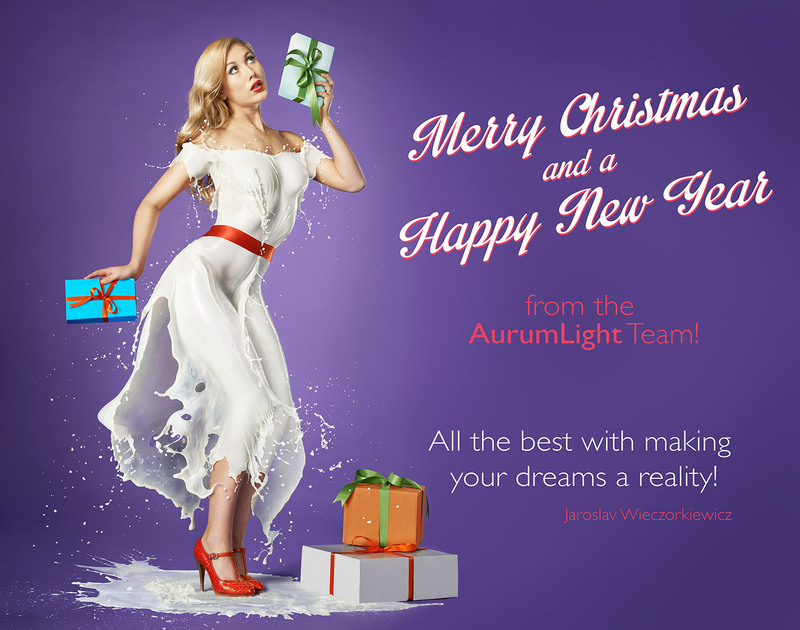 Merry Christmas and a Happy New Year from the AurumLight Team.